Not every Class 10 memory card will work properly with the GoPro HERO3+ and HEROBlack editions in their high resolution video modes like 4K and with ProTune. Here are the ones that do. The GoPro HERO3 Black and the HERO3+ Black are quite sensitive to the type of SD card you use. The primary issue relates to the high-bitrate recording in the high-resolution video modes. They generate large amounts of data that needs to be written to the memory card quickly. It can be particularly true if you have ProTune enabled, since that records even more data than the standard modes. If the SD card isn't fast enough and can't keep up, you can run into issues like the video recording stopping unexpectedly, the camera freezing up, or it just shutting down. So if you're having trouble with video on the GoPro HERO3 or HERO3+, one of the first things to check is the memory card. It's possible it's faulty and needs to be replaced, or it might simply be too slow. The first time I ran into this problem, I was being caught out with the SanDisk Ultra card. On paper, it looks good, and the price was certainly attractive. But I found that the video was cutting out. The culprit was the memory card--it's simply not fast enough to handle the data rate of the newer GoPros (but the SanDisk Extreme's listed below are fast enough). Once I got one of the faster cards, there was no more cutting out, even with Protune turned on. Thankfully, since these cameras were first released, finding fast memory cards at affordable prices has become much easier. Both the GoPro HERO3 Black and HERO3+ Black require a microSD card with fast write speeds. Specifically, they need one that's rated for video recording speed Class 10 or higher. But it's not enough just to have a Class 10 card because not all Class 10 cards are created equal. It would be nice if Class 10 was a consistent standard, but the reality is that it's not. Two different Class 10 cards from two different manufacturers can have very different write speeds, and that's the crucial spec here. And to complicate things further, there are different kinds of write speeds and they vary by the hardware and software combination that's doing the writing. So I've put together this list of recommended SD cards for the GoPro HERO3 Black and HERO3+ Black in the hope that helps anyone wondering which SD card to get for these models. I make a point of doing speed tests on microSD cards, so I've had a good opportunity to try out the best SD cards on the market. I originally posted a list of recommended memory cards for the HERO3 and HERO3+ models back when those cameras first came out. Since then, memory card manufacturers have released a bunch of newer, faster models and retired older cards that were originally on the list, making them hard to find. So this is an updated list with an emphasis on SD cards that are a combination of fast enough, readily available at major retailers, from manufacturers known for making high quality cards, and are cost effective. 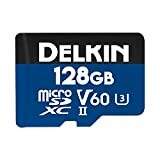 In several cases, these are faster than you technically need, but because of the way the memory card business works, these newer, faster cards can be cheaper than older, discontinued cards. Fast, cost-effective, reliable, and widely available, the SanDisk Extreme cards are safe bets for a wide range of uses, including the GoPro HERO6 Black. Extreme cards are the ones that GoPro themselves often bundle with their cameras and sell on GoPro.com, and it's one of the ones they officially recommend in their "Works with GoPro" certification program. From my tests, it is plenty fast enough for the 4K60 and 1080p240 video of the HERO6 Black, but it also has the virtue of being cost-effective. The latest version of the SanDisk Extreme comes in 32GB, 64GB, 128GB, 256GB, and 400GB versions. As with most of its product names, SanDisk recycles them with newer, faster cards. So you can find "Extreme" cards that are actually several years old. It's therefore worth checking the model number, although in practice even some of the older versions of the Extreme cards will also work well in GoPros. SanDisk uses a three-part model numbering system in the format SDSQXA1-064G-AN6MA. In this example, SDSQXA1 is the model number, 064G refers to the amount of memory, and the last 5 characters are used by the marketing department for different parts of the world but the cards are otherwise the same. So the first part is the crucial part if you're looking to see which model the card is, and you don't have to take much notice of the last 5 characters. Samsung makes several excellent microSD cards. They also have a confusing naming system that doesn't always make clear what the difference between the models is. The Select is one of their better cards, but it's also very good value. Like SanDisk, Samsung recycles the series names. The latest version of the EVO Select is available in 32GB, 64GB, 128GB, and 256GB sizes. If you can't find the EVO Select line at your preferred retailer, the EVO Plus line also works well. Lexar has long been one of the top makers of memory cards. During 2017, the company went through some ownership changes, with their initial owner saying they were retiring the brand and then another company coming in a buying the brand up and saving it. The upshot is that most of the Lexar cards are still on the market, including this one, although there seemed to be some impact on their supply chain and the cards aren't always as easy to find these days. Lexar has always to put more emphasis on marketing the read speeds of their cards--in this case, 1000x or up to 150MB/s--but several of their cards have write speeds fast enough for GoPros shooting 4K video. This isn't the fastest microSD card they make--there's one rated at 1800x which is one of the fastest cards I've tested, but this 1000x card works well in GoPros and is rated for a write speed of up to 45MB/s. It comes in 32GB, 64GB, 128GB, and 256GB versions and includes a USB thumb drive card reader. The Extreme Pro line is SanDisk's top-of-the-range line. They're consistently among the fastest microSD cards in my tests. While it's faster and fancier than the camera technically needs, they do work very well. Extreme Pro cards are among my go-tos in all of the memory card formats because of their speed and reliability. This latest version comes in 64GB, 128GB, 256GB, and 400GB versions. The latest version of the packaging includes both V30 and A2 on them. It gets a little confusing because SanDisk is mixing and matching model numbers even amongst the current cards, but you're looking for model numbers that start with SDSQXCY (for 64GB and 128GB) and SDSQXCZ (for 256GB and 400GB versions). The standard version of this includes a microSD-to-SD cartridge adapter. You can also find versions that include a USB thumb reader. The Extreme PLUS line is a newer addition to SanDisk's product lines and, as you'd expect, this is a step up from the standard Extreme (but a step below the Extreme Pro). In my tests, the Extreme PLUS does have a faster sequential write speed than the Extreme, but you won't get any added benefit from that in the camera--both exceed the speed requirements of the GoPro's data stream. That's because the speed will be limited by the lowest performance in the chain, and in this case that bottleneck is in the camera's interface with the SD card's writing bus. This is the latest version of this card--you can tell it apart by the V30 rating on the card. Older versions didn't have the V30 on the packaging, but in practice even those older versions of the Extreme PLUS cards will also work well; because it's a relatively new line and they've always been among the faster lines, there aren't any older versions that are too slow. SanDisk's Pixtor range is the same as SanDisk's Extreme range--it's a rebranded version that's designed as a house brand for Best Buy. But the labeling on Pixtor cards isn't as clear as it could be. The one you want is the SanDisk Pixtor Advanced, which is red and gold, but the card itself doesn't have the "Advanced" part printed on it. There's another version, which is just the SanDisk Pixtor, which is red and gray; that's the equivalent of the SanDisk Ultra and isn't fast enough for the GoPros. Because they're tied to a specific retailer, the Pixtor cards don't tend to be as readily available as some of the others here. And there's really no reason to hunt for them--there's no performance benefit--especially when the Extreme range cards are much easier to find. These cards by Delkin are one of the few currently available that come with the new V60 rating for recording 4K and 8K video. It's also a UHS-II card and comes with a UHS-II SD adapter cartridge (most other adapter cartridges are UHS-I). Delkin as a brand isn't as well known as some of the other brands with bigger marketing budgets, but they've actually been around a long time and I've always had good experiences with them. I use this particular model often in my GoPros and have found them to be fast and reliable. ProGrade Digital is a new brand, but they're not just another no-name rebrand that has sprung up from nowhere. They're an American company with a very experienced team. They're focusing on high-end memory cards, and they have no-frills packaging and minimal marketing so far. But I've been impressed with what I've seen so far--their SD cards are among the fastest I've tested and have become a fixture in my primary camera. This brand-new microSD version, the first microSD they've released, isn't the fastest card I've tested, but it's comfortably fast enough to keep up with the video datastream generated by the flagship GoPro models. It's rated for V60 (or sustained minimum write speeds of 60MB/s) and is UHS-II. While most of the newer GoPros also require fast memory cards, the other HERO3 models and older GoPros aren't quite as demanding, but there are still some gotchas to watch out for. So here's a rundown of the SD card requirements for those other models. You can use any class 10 microSD cards (both SDHC and SDXC) with a GoPro HERO3 Silver and HERO3 White. In some circumstances, you can get away with a lower class card; more on that below. A Class 4 MicroSD card up to 64 GB is required. A Class 10 MicroSD card up to 64 GB is required for 0.5 sec Time-lapse, 10/1 Photo Burst, and Protune. A Class 10 MicroSD card up to 64 GB is required for 0.5 sec Time-lapse. A Class 4 SD card up to 32 GB is required. A Class 10 SD card up to 32 GB is required to use 0.5 sec Time-lapse, 10/1 Photo Burst, and Protune (ie. if you want to use any of those features, make sure your card is an SDHC card, NOT an SDXC card). A Class 4 SD card up to 32 GB is required. SDXC cards (ie. larger than 32GB) will NOT work in these models. SDXC vs SDHC. SDHC and SDXC aren't really direct versions, and it has nothing to do with speed. SDHC applies to cards that are between 4GB and 32GB. They use a filesystem known as FAT32. Cards 64GB and larger will have SDXC on them because those use a filesystem known as exFAT. You won't find a 64GB card that's SDHC or a 32GB card that's SDXC. Both the HERO3 Black and HERO3+ Black work with SDHC and SDXC cards. Formatting. Before using it, format the memory card in the camera. It's a safer option that formatting on your computer and can help prevent problems. And it's a good idea to reformat in the camera fairly regularly as a way to prepare the card for use. I do it immediately after downloading all my footage/photos from the card to my computer so that it's ready to go for next time. You can find the reformat function under Settings > Delete All. Where to Buy. Buy from a reputable retailer. There are a lot of counterfeit memory cards out there being peddled by less-reputable dealers. I buy a lot of memory cards, and I usually get them from Amazon or B&H Photo--I haven't run into any issues with cards from those places, although be a little extra careful if buying from a third-party seller. Images and product information from Amazon Product Advertising API were last updated on 2019-04-19 at 17:18. For longer recording times, I've had good success with a genuine SanDisk Ultra 128GB card in my Hero 3 black, at speeds up to 1080/30FPS. However, i had failures with a counterfit card that i unknowingly purchased first. Learn to identify genuine vs counterfit before buying online! My 3+ Black user manual says it can only handle up to 64 GB cards. Has this changed with firmware updates? sorry should add that I was recording 1080p 25fps. I have a gopro hero 3 black with a 300xxcard writes for 11.38 min changed to a 633xx card it went to 14.59min. 32 0r 64 GB card. I use it on motor bike so I don't get a video of trips completely. It seems to shut down as if speed ie 110kph it seems like it can't keep up. any suggestions. Thanks. I've never heard of speed being a factor in shutting them down, or even some good knocks. They work on cars, wingsuits, etc going much faster. The first thing that comes to mind is the card either being slower than advertised or perhaps faulty. If you have another handy, it'd be worth trying that. I would know if this Sandisk card memory will be avaliable with the Gopro Black: Micro SDXC - Sandisk Ultra, 64Gb, Clase 10. I have the doubt because it is not an "Sandisk Extreme". No, it's too slow for the high-end video modes. Technically, it's compatible and will work with the lower quality video modes and stills photos, but you'll run into problems if you try to use the higher video rates. Do you think that 1080p in 60fps and 720p in 120 fps should be ok? Why there is no Kingston microSD cards in the list? In another post you have named "The Fastest MicroSD Caeds" you include many Kingston microSD cards. The microSDHC/SDXC UHS-I U3 90R/80W 32GB/64GB are very fast cards. Is it a marketing manner or just a mistake? I was going to order the above mentioned Kingston microSD when I came across this thread and surprised. Kingston doesn't appear on GoPro's own list of officially recommended cards, so it's not included here. But I've used several Kingston cards myself in various cameras and in my experience they perform well. It could be a few things. There's one simple thing to try here. Here's another post on the same fix that provides a bit more detail. If that doesn't fixt it, it's also possible to go in, on a computer, and do more technical fixes on the file system, but if you're at that point the safer bet with more peace of mind is probably to replace the memory card, especially if the retailer will exchange it. I'd be cautious on the SanDisk Extreme Plus 64GB microSDHC Memory Card (Model No. SDSDQX-064G-AFFP-A). Bought one from Best Buy Canada in January 2014 & just the other day while i was taking time lapse shots of the nice lightning storm at night my card decided to have attitude. Was fine in the camera but soon as i hooked it up to my computer & started to edit what pictures i wanted to upload to social media my card died. Turns out my memory card reader shut itself off cuz the Micro SD Card decided to "Write Protect" itself. If u looked at the card in Windows it told u the card was empty & that u had to scan it for erros yet when u looked at it there was still content on the card. After a few days trying various things i'm unable to reformat the card as it's not only "write protected" itself but it's made itself unusable. Looked on SanDisk's forums & quite a few fellow GoPro Users have been having problems with both the Ultra & Extreme Plus 64GB cards that just up & stop working months later after working perfectly fine for 3 months to a yr. Thanks for the tip. It's hard to know whether Sandisk has a higher failure rate or simply has more reports because they sell the most cards and there are therefore many more of them out there. I've personally never had any more issues with Sandisk than other brands, but it's a truism that there's some risk of failure with every memory card (unfortunately). I also routinely replace old cards. On the user forum for Sandisk there's been quite a few ppl making posts about the 32/64GB cards. I know GoPro's 2.0 update for the Black & Silver Hero 3+ was suppose to fix the Sandisk Problem that was reported when the camera first came out about it having problems with the cards & now it seems like the problems back with the Extreme Plus 32GB & 64GB cards. If you get a chance, let us know how the Lexar goes. So far it's working really well. Fast recording, doesn't have any stutter or latency when playing back regardless if it's played back on the GoPro's LCD Backpack screen, a smart phone or a computer like the Sandisk card did from time to time that i had. Also something else i noticed is this card doesn't cause the camera to get hot w/ or w/o the LCD screen on like the Sandisk card did. One of the biggest problems i had was the camera getting exceptionally hot while it was run on external power source but now that doesn't happen. So far i've done Time Lapse at both 5 sec, 10sec & 1min intervals as well as it's pretty good shooting in 1440 w/30fps w/o ProTune being run through the GoPro App on a Windows 8.0 Mobile phone or running full blown out 4K in 17:9 w/ProTune running as well as all the other bells & whistles that GoPro added to the camera during the 2.0 update. The other thing i've noticed too compared to before is the picture both photo mode & video mode is a lot more crisper then before. Thanks for taking the time to post the update! So, which do you use? I use Sandisk, Lexar, and Samsung without issue. So at the end of the day if I want to do watershots, surfing ,underwater and probably some bmxing on my helmet with my go pro black surf edition what card would be my best bet? Any of the ones on this list should work great for that. If you want to be able to fit more footage on a card, a 64GB is a good bet. I just purchased a Hero3 Black and a 32GB MAXFLASH Action Class 10 Micro SD card. I haven't used the camera yet, but was wondering whether you have any comments on this combination? Thanks. I haven't tried Maxflash cards, I'm afraid, but based on the product specs on their website, the write speed rating is vague (> 10 MB/s), which suggests it's really too slow for any of the high data rate shooting modes on the HERO3 Black. I would very strongly recommend testing it before using it in a critical shoot. Alternatively, the faster cards recommended above are reasonably priced (approx. $35 to $55 for 32GB versions). I've got the GoPro hero 3+ black edition and would like to mostly us it for slow motion. 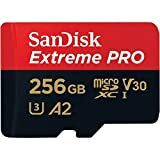 So I was wondering between Sandisk Extreme and Sandisk Extreme PLUS.. the first one is in the recommended list of microSD on the GoPro website, the other is even faster but it's not in the list. And something else - a lot of people are saying that GoPro cameras recognise Sandisk memory cards and automatically reduce bit rate streaming in order to avoid issues (as before the had a lot of them with the Sandisk Ultra model..) Is that really true? I haven't tested these Sandisk cards since they're new additions to the recommended list. I plan to test them very soon. As for whether the camera detects Sandisk cards and gives them special treatment, I don't know but will test. I have tested some of the other brands and they have been consistent across brands. Has anyone had any trouble using the Lexar 64gb class 10 600x micro sd card with the gopro hero 3+ black edition? I upgraded from a sandisk 32gb ultra too the 64gb lexar, when I plugged the camera into my smart blu ray player via the USB it said the USB device wasn't supported. When doing this with the ultra it worked perfectly fine, I could view pictures & videos without any problems. I've tried putting the card in the USB reader & it doesn't make any difference, I recorded it in exactly the same resolution etc so the only variable is the SD card! Also the process speed after taking a burst photo seems quite a few seconds slower compared to on my friends gopro & tutorials I've seen on YouTube. Hope someone can shed some light. Hello! Thanks for the useful information, I had no idea getting a memory card would be so difficult! Even though I wanted the Lexar 64gb, it will not arrive in time for the trip, so I went with the Samsung 64gb. Has there really been many problems? Can you advise on best settings to record with? Also, wanted the Lexar because of the USB reader and my laptop does not have a memory card reader. Do you know if I need to buy a specific USB microsd reader for the Samsung? What are the thoughts on the Kingston 64GB microSDXC Class 10 Flash Card? Sanddisk is terrible for filming, so many glitches. Hi i am sort of unclear what brand of SD card to get. i have just bought a GoPro Hero 3 + Silver Edition and i want to get the best graphics and capability out of my new camera. My previous camera, which i lost, had a 32 GB Sandisk SD and it kept freezing up after a few months of use, and it wouldn't record. could you advise me which brand to get because i would like to get it as soon as possible. Best buy has the 64 Gb samsung sdxc on sale from $99 to $59 right now with an adapter included. Baller. So David - From all the info you have digested so far, which would be a) the optimal 32 GB card, and b) the optimal 64 GB card? I have aspirations of a lot of filming, but a lot of it will be time lapse. For time-lapse, the write speed of the card is less of an issue and any of these should work. I've also used the Sandisk Ultra--the ones that presents some problems with video--without issues with time-lapse. In most time-lapse shooting modes, the speed of the card isn't much of issue. If you plan to shoot at the 0.5 interval, all of the cards above are fast enough to handle it. 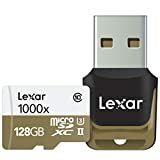 I just purchased the Lexar 32GB SDHC 600x (LSDMI32GBSBNA600R) which is on the recommended list. However, on the back of the card it claims it only has 25 mb/s write speed. I am confused because I thought protune for the Hero 3 black requires a minimum of 45 mb/s? I love this site. Just got the Hero3+ blk edition and I would certainly have blundered on the Micro SD card. Thank you all. Do you think the Delkin64gb will be fine when recording in 4k and 2.7k on the Black Edition 3+? Otherwise which one do you think is the best card? I also had issues with the scan disk SD cards. Although I got a little more then ten minutes of recording in before the camera started to glitch out. The 32GB Lexar and haven't had those issues anymore. I was hoping the software updates earlier in the year was gone fix the glitchy issues I was having but it didn't. I have just purchased the GoPro Hero 3 and am waithing for my Sd card which is the 32GB Lexar High Speed microSDHC Card Class 10 With Reader LSDMI32GBCANZR. It is not marked as the 600x so I am worried that it may be the wrong card for the GoPro, does anyone have any thoughts on this? Thanks for the info David. I just bought SanDisk Extreme PLUS microSDHC/microSDXC UHS-I Card 32GB. The specs are Performance/speed: Up to 80MB/s** read; up to 50MB/s** write speed (32 GB & 64 GB); Up to 80MB/s read; up to 30MB/s write speed (16 GB). But i haven't test it out. Hope it works as this cost me USD$60. I upgraded form the Hero3 silver to the black, and all the Sandisk ultra cards that were fine in the silver model freeze. It is a simple answer - the Hero3 black must have a card that has a minimum of 50Mb/sec write speed. The Sandisk Ultra specs say 30Mb/sec. The Hero3 black requires a card with minimum 45Mb/sec write speed. I can film all day on 720p using the Ultra cards, but if I up the resolution or frame rate, the 64Gb card craps itself after about 1 minute, and the 32Gb cards at 22-25 seconds. Basically, as other posters have said, the cards can't keep up. The Sandisk Extreme is minimum 80Mb read - 50Mb/sec write speed and there is also a good Samsung card that does 80Mb/sec write. Hey, have you used either of the lexar's before? They seem ace but a few reviews I have read mention that they stop working after 6 months? Sorry, no, I haven't tried these particular Lexar cards personally. I've used SanDisk ultra 32gb and my bigest problem is the audio - is seems to be very low and I could barely hear it even without using a housing (even when I am already screaming). After doing some research, I found out that it is a common problem of this particular sd card when using a go pro hero3 black edition. Which one is more preferred, Lexar 32gb 600x or 64gb 300x? Not sure there's a right answer. Both are fast enough for the GoPro. Depends whether you need the extra space or need super-fast downloading from the card. Got my Hero 3 Black last week but didn't research the SD card recommendations very well. Started with a Sandisk ULTRA 32GB. I was unable to get clean video of anything more than 720P @ 48fps and 1080P @ 30fps. I ordered a Sandisk EXTREME PRO 16GB which is supposed to be rated at 90mb/s write speeds. Now I can get smooth video at 720P and 60fps or 960P and 48fps. After some frustration, I finally went on their website to look at recommendations. I'm going to order the Lexar 600X 32GB, but I'm skeptical. Can a different brand name really make that much of a difference? At the moment I can't imagine being able to run 2.7K at all without it turning horribly choppy. what does recording data stream really mean? Is it the write speed or the read speed that matters for GoPro cameras since there is quite a big difference between the writing speed for Lexar and Samsung cards. While it's not the list officially recommended by the folks at GoPro, its speed specs should be about same as the 32GB version. So it *should* be fine, but I haven't tested it personally. Thank you David. I've managed to get the 32GB delivered on time for Tough Mudder on Sunday. I'll take my 16GB as a backup just in case I need it. I have a sandisk ultra class 10 32gb card for my hd hero 3 black edition. The clerk at the store highly recommended this card, after forking out 50 dollars im hearing that this card isnt in fact what it is advertised to be. are the problems really THAT substantial? Normally, I'm a big fan of Sandisk. For whatever reason, though, the microSD cards aren't great. I haven't tried it with the latest firmware, which lowers the write transfer rate. So they might work better now. Before the latest firmware, if you had video set to 2.7K or 4K, and especially with Protune turned on, it would just stop recording after several minutes. It had nothing to do with space and was just related to write speed--the card couldn't keep up with what the camera was trying to send it. So yes, it can be pretty significant and is definitely worth testing before you do a shoot that matters. I have had a go pro for 2 days and I grabbed just a sandisk 16GB ultra and my go pro fried it recording 1080P @ 50fps for only about 10 minutes. They are rated to only 30MB/s even thought they are class 10 card. I have just brought a sandisk 16GB extreme which it says is up to 80 MB/s. I have i just filled up the card by first recording as above for 10 minutes and then moved to 4k cinema @ 12 FPS for about 30minutes and all is well so far. Good to hear. Thanks for letting us know! Unfortunately even the rated speeds aren't always directly comparable--there are different ways of measuring write speeds that lead to different numbers--so hearing how it works in real-life usage is very helpful. does the same speed card apply when filming in lower resolution, ive already got 2 class 4 msd will they work at lower res? They *should*, but it depends on how low you set the resolution. I'd test it extensively at the settings you want before doing a "real" shoot. If it was me, I probably wouldn't trust it and would just invest in a faster card, which will also increase your options when shooting. Thankfully the price on memory cards is pretty reasonable these days.